Is ongoing referendum process causing human rights violation? In a note released on February 23, 2018, the International Federation for Human Rights-FIDH denounces the human right violations that prevail in Burundi due to the ongoing process of the constitutional referendum. “People, including minors were forced to register for vote in the upcoming constitutional referendum and 2020 elections,” reads the note. FIDH condemns the government’s attitude towards the opposition. ‘Every attempt at or suspect for the opposition to the constitutional referendum process is sanctioned by imprisonment or death threat,” reads the report. The note mentions the desire by Burundi government to violate the Arusha Peace Agreement, which helped end a decade of civil war, by not respecting the ethnic quota highlighted in the current constitution which resulted from the Arusha Accord. Martin Nivyabandi, Minister of Human Rights, says the content of FIDH report concerns those who made it. “We reject this emotion-based note”, he says, adding that it is biased. Nivyabandi says there are other reasons behind this note. “It is a deliberate desire to tarnish the image of the country. It’s nothing but a fallacious report,” he says. 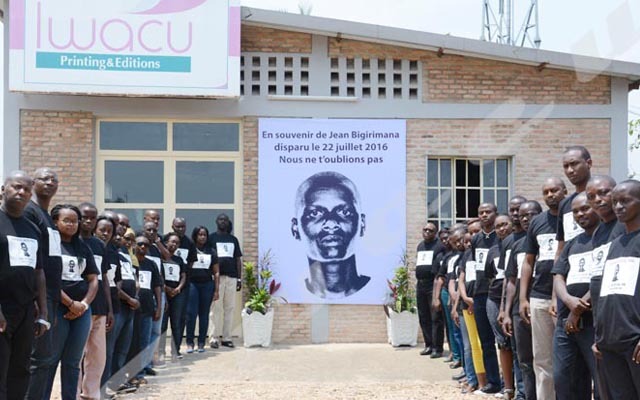 He also says FIDH has collaborated with a local organization which is not officially recognized by Burundi government. He adds that this International Federation for Human Rights should seek the opinion of the government concerned. UN Security Council analyzed Burundi situation in terms of Human rights violation this Monday February 26, 2018 and FIDH report was to be discussed.